In the summer of 2013, photographer Daniel Setiawan and researcher James Helfrich interrupted their holiday in Malta, and with the assistance of Integra Foundation, set about filming a documentary on the situation of sub-Saharan asylum seekers trapped on the island. To Be A Refugee provides disturbing insights into the forced migration flows from Africa to Europe, and shows the human faces and voices all too often drowned by the ‘Great Siege syndrome’ that dominates public discourse related to immigration in Malta. 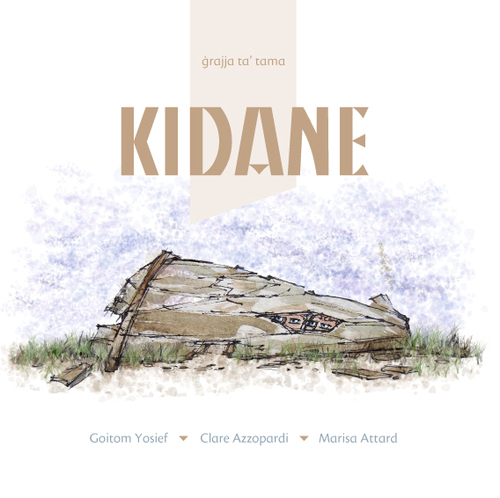 Goitom Yosief’s story is told in the children’s book Kidane, written by Clare Azzopardi, with illustrations by Marisa Attard. Read Goitom’s interview with Kristina Chetcuti here. Daniel Setiawan is a photographer and writer based in Austin, Texas. He has spent the last two years working and climbing in Texas, Mexico, Malta and Thailand. To Be a Refugee is his first film. James Helfrich is an economist and researcher based in the United States. He works as a volunteer for the Refugee Services of Texas and has an abiding interest in irregular migration and immigrant detention policy. This entry was posted on 10/05/2014 by mondepasrondeditor in activism, documentary, film, journalism, photography, testimonies and tagged asylum, Cetta Mainwaring, Clare Azzopardi, Daniel Setiawan, detention, Goitom Yosief, Integra Foundation, James Helfrich, Malta, Maria Pisani, Marisa Attard, refugees, Underfoot Films.